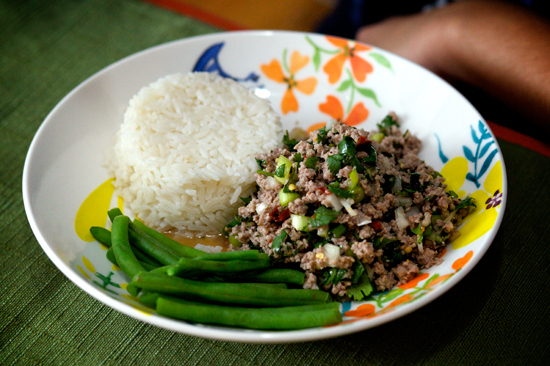 Oh, Larb, Laab, however you spell it. We had never made this before and looking at the recipe, I was surprised at the addition of toasted rice. Ground up, it lends a slightly nutty counterpoint to the spicy, tangy pork tossed with a tangle of mint and cilantro.